Boy, you never know who you're going to run into when you go to the fair! 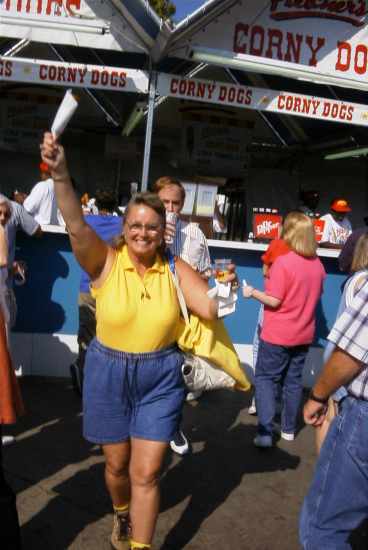 Angie had just gotten a corny dog and met up with me when she said, "Look over there! It's the Wallners!" Sure enough, Jim and Connie were at the Fletchers stand, evidently trying to buy out all the inventory. From the looks of this, Connie must have been glad to see us! We wandered on down to Cotton Bowl square together and watched some of the bands play. 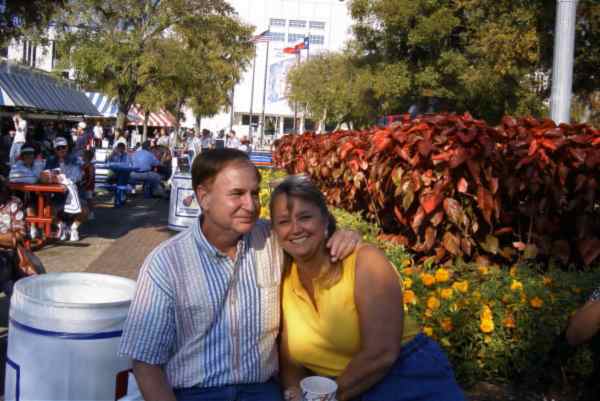 I think Jim and Connie must enjoy the fair as much as we do! 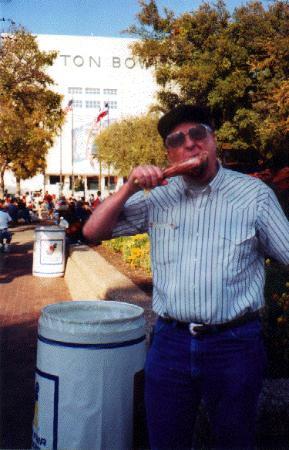 Connie just had to get a picture of me and my favorite fair food, a Dickel's Turkey Leg. Wasn't much left by this time. Dickels and I have a tift going by the away, about who has the "best legs in Texas". Think I inherited it from my Uncle Nat, who claimed he won beauty contests with his "best" legs. I've done at least as well I'll have you know, and when my wife gets through laughing, she'll verify it I'm sure. Whoops! 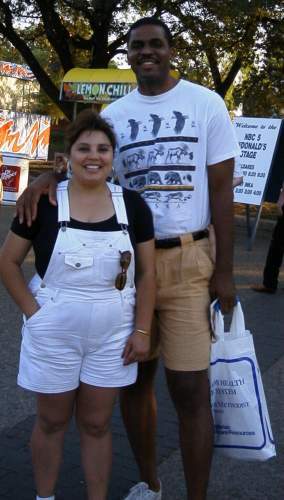 Next time we were down to the fair, I looked up and who should I see but Daryl and Lety. Looks like the fair has put them in a good mood doesn't it? Come to think of it, they're always in a good mood.